New. 0062467662 BRAND NEW, GIFT QUALITY! NOT OVERSTOCKS OR MARKED UP REMAINDERS! DIRECT FROM THE PUBLISHER! |0.9. Jack Canfield has given us a complete instruction book on Personal Development. Definitely one of the best I have read. 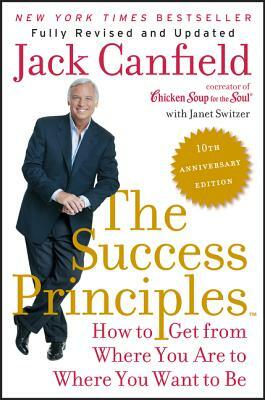 Jack Canfield uses down to earth, straight forward talk and "directions" in this book. He shows you the path, makes you a map, and teaches you how to walk it. I'll be rereading this and sharing it with everyone. This book adds to what I started in my life in October '09. It is in depth and full of exercises to help develop right thinking. I am so pleased and elated at the changes wrought in me through working through Success Principles! Great book! I've enjoyed reading it and would recommend it to anyone looking to get moving in life without excuses. This book is the best positive book I have read in a long time. It makes you stop in your tracks, reevaluate your thinking and review what you have done with your life and how to improve in a very large way. I would highly recommend this book to anyone.